Riders prepare for the more difficult water jumps in the Playmobil Horse Show arena. Once the competition is finished the prizes can be awarded with rosettes and a championship cup. 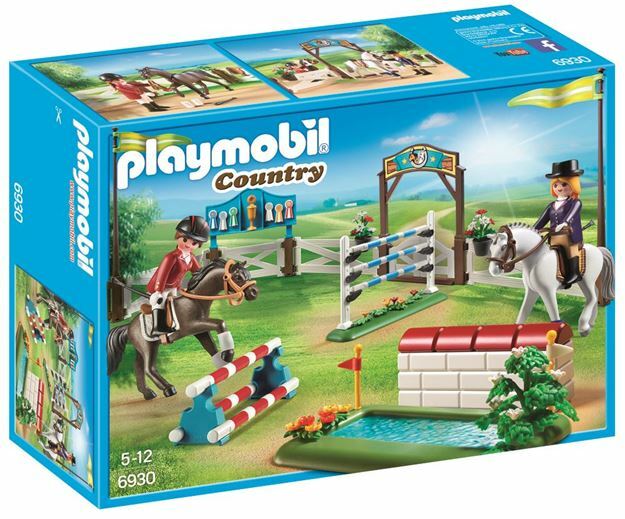 Includes: 2 figures, 2 horses, multiple jumps with interchangeable height and accessories. Part of the Country and Pony range. Age 4+ years. Distributed in New Zealand by Holdson.